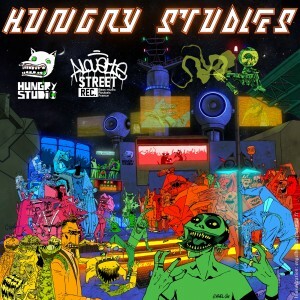 After tracks they released on « Grime & Dubstep French Connection » this summer, Yanneck & Remo (Hungry Studio) are strongly back with their brand new EP “HUNGRY STUDIES”: 4 heavy dubstep tracks full of musicality, flavoured with reggae and world music. Now available on most online platforms (I tunes / Juno / AmazonMP3 / Fnac and now on Beatport and Dog On Acid!!). Après leur apparition sur « Grime & Dubstep French Connection » de cet été, Yanneck & Remo (Hungry Studio) reviennent en force avec leur tout nouvel EP: « HUNGRY STUDIES » 4 tracks dubstep musicaux mais puissants, teintés de reggae et de musiques du monde.